Challenge yourself with a true puzzle game! This is a very enjoyable solitaire game with alphabets. It demands huge observations, great patience and strong challenging spirit! It is extremely difficult, and thus extremely addictive. 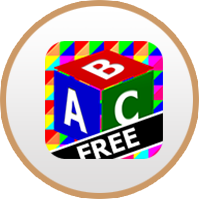 You can enjoy ABC Solitaire on iPhone, iPad, Mac OS and Android Now!